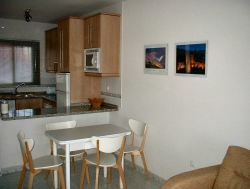 The apartment is ground floor and hence suitable for children and the elderly. It has a large South facing (25 square metre) terrace with sea views equipped with alfresco dining facilities offering plenty of relaxation space for those evenings where you prefer to �chill out�. The apartment is situated in the peaceful residential garden complex of Torrox Park, with private access(key only) to both a very well maintained swimming pool and tennis courts. It has been recently furnished and equipped to an extremely high standard to ensure satisfaction, and hopefully your return visit. Within 5 minutes walk there is a supermarket, together with a hair salon, laundry, and 3 restaurants, serving very good food. Torrox beach/promenade can be reached in 3 minutes by car, a short walk or by the local on-site bus service; Torrox beach/promenade has 100+ restaurants; children�s play areas, and comprehensive water sports facilities. There are many other superb beaches to choose from along the coast road towards Nerja. The lovely town of Nerja, with its bustling streets packed with excellent shops, restaurants and bars is less than 6 minutes drive away. Locally, there is also horse-riding, water sports, Scuba diving, golf, and much more. Andalucia is renowned for its top golf courses and the unique sunny and warm winter climate allows golf to be popular all year round. There are nearly 60 golf courses in Andalucia. 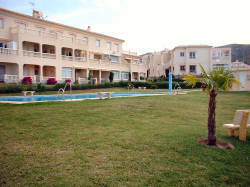 The Baviera Golf Course is 10 minutes drive from the apartment. There are a number of Aqua Parks, and many other attractions nearby. 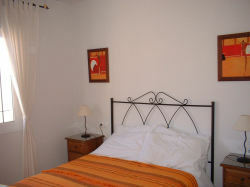 The town of Granada and the reputable Ski resort of Sierra Nevada are only a 1 � hour drive inland. Sierra Nevada offers excellent skiing during winter months through to May. In view of the unique regional climate it is possible to ski in the morning and sunbathe on the beach in the afternoon. 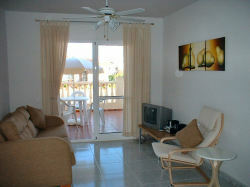 Torrox-Nerja with its winter sun climate offers marvelous holidays throughout the entire year.